With his anthology, THREE TO THE HEART, Rick Mofina provides three of his finest short pieces of crime fiction. Three acclaimed, heart-wrenching short stories of people facing enormous odds. In the story, "Backup," an 11-year-old boy finds his father&apos;s gun and rushes to a deadly stand off at the mall. In "A Lifetime Burning in a Moment," we meet John Devlin, a mild-mannered actuary and lifelong weakling, who searches for courage when his family is threatened. In "The Last Pursuit," a cop, desperate to redeem himself for the mistake that destroyed his life, works alone to track the murderer he was escorting to trial after their plane crashes in the Rocky Mountains. Rick Mofina is a former crime reporter and the award-winning author of several notable thrillers. Penthouse magazine calls him, "one of the leading thriller writers of the day." New York Times Bestselling author, Tess Gerritsen, says, "Rick Mofina&apos;s tense taut writing makes every thriller he writes an adrenaline-packed ride." His short stories have been selected for anthologies by Michael Connelly, Peter Robinson, Ed Gorman, the Mystery Writers of America and the United Kingdom&apos;s, Crime Writers Association. 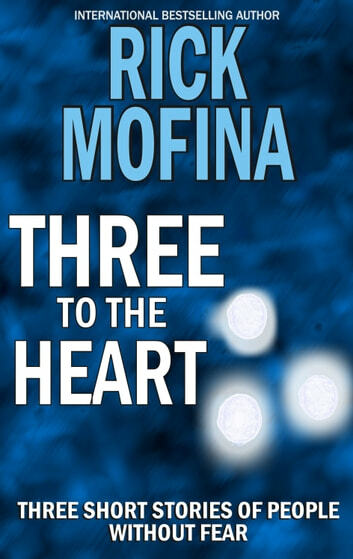 The International Thriller Writers, The Private Eye Writers of America and The Crime Writers of Canada have listed Rick Mofina&apos;s titles as being among the best in the world. His books have been published in 21 countries and have been praised by James Patterson, Dean Koontz, Michael Connelly, Lee Child, Tess Gerritsen, Jeffery Deaver, Sandra Brown, James Rollins, Brad Thor, Nick Stone, David Morrell, Allison Brennan, Heather Graham, Linwood Barclay, Peter Robinson, Håkan Nesser and Kay Hooper. For more information please visit www.rickmofina.com .